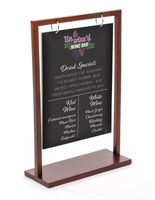 Are your table sign holders in need of a fresh look? 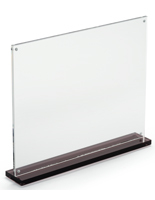 Do you need new acrylic frames for your bar or café? 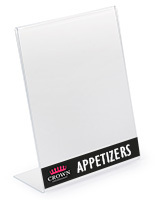 In the restaurant world, table sign holders are used to showcase menu items and specials. 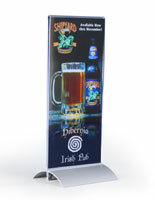 These cheap displays allow for additional advertising right at the tabletop level. 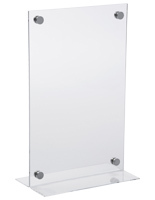 Statistics show that approximately 70% of purchase decisions are made upon impulse. 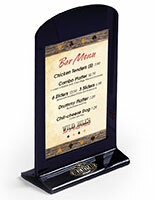 Effective tabletop sign holders can have a huge impact on sales for a particular menu item or special. 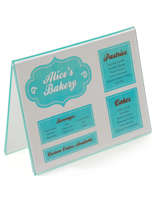 The standard 4x6 or 5x7 sign make it easy and convenient for restaurant owners to print their own graphics, thereby removing the need to have professionals print new cards. 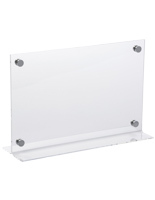 This site features a wide range of other sizes as well including 4x9 and 8-1/2x11. 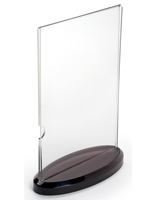 Choose the table sign holders that best suit the space availability and venue size. 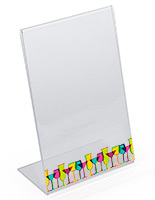 There are some new menu displays that were added presently that will add a splash of color to a tabletop setting. 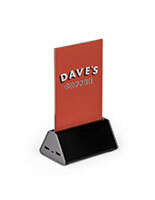 Buy these table sign holders that feature a red or black base to complement other fixtures within the dining area. 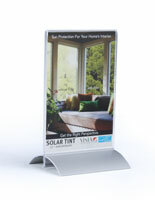 This hint of color will also help catch the eye of your guests, and entice them to read the signage. 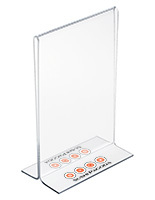 Other table sign holders offered here feature a silver metal base. 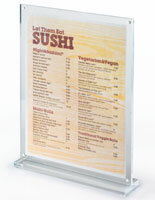 Like the black and red colored bases the unique design of this metal and acrylic will capture the attention of patrons and increase the likelihood of them reading the specials being offered. 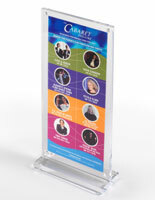 All of these table sign holders are eligible for same day shipping; see the product pages for more details. 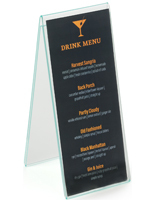 To change signage with these menu displays there are a few different methods. 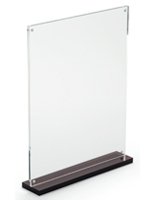 These displays are either bottom, top or side-loaded; meaning the images are slid-in from one of three directions. 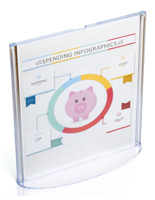 No matter which method shoppers purchase, they are all equally simple to operate. 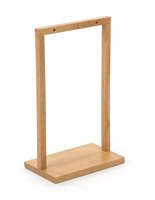 The impulse buy. 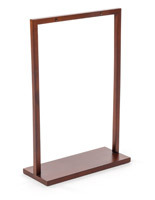 Can you honestly say you've never made a last minute purchase decision? 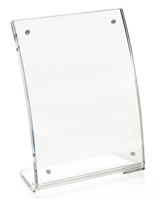 Research shows approximately seventy percent of all retail purchase decisions are made in the store. 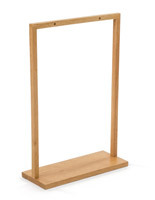 And 53% of those in-store purchases are made on impulse. 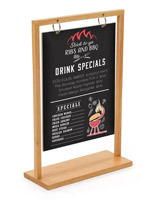 So just how do restaurants capitalize on these high numbers? 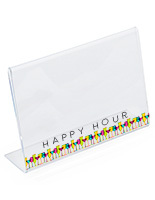 By using a table sign holder! 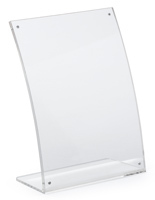 It's advertising - it's highly effective in persuading potential consumers to make additional menu selections, or pricier food items. 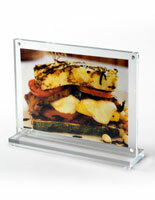 Display your daily meal specials that when properly placed, can entice impulse buyers to purchase your cuisine. 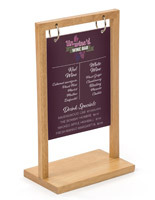 For cafés and bistros that have limited wall space or just looking for a new way of displaying the same old signage; why not try this table sign holder. 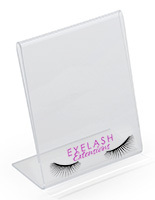 This product line includes numerous different sizes, with prices starting at less than ten dollars! 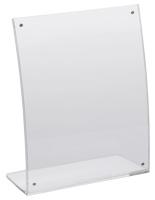 Customer's eyes are more likely to be drawn to a table sign holder sitting right in front of them than those that sit against the wall. 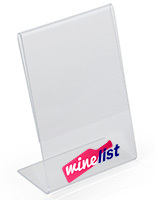 Can this table sign holder be custom imprinted with a company logo? 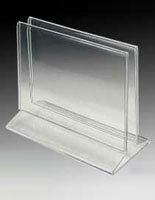 Many of the acrylic display options offered here can be customized. 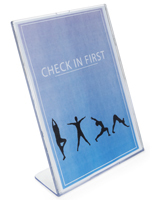 Each table sign holder has a minimum order requirement in order to qualify for a custom job. 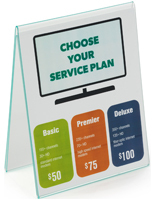 Typically shoppers would need to purchase at least one thousand units to meet the eligibility requirements of custom imprinting. 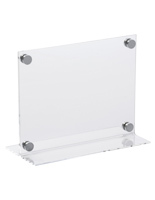 Is this tabletop display suitable for use on tabletops that are on an outdoor patio? 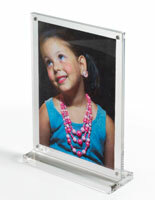 Although these acrylic frames are weather resistant they are not water-tight. 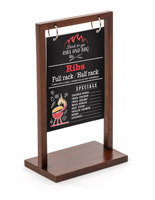 This table sign holder could be placed on tabletops outdoors under fair weather conditions, and should be immediately brought inside if rain or snow is forecasted. 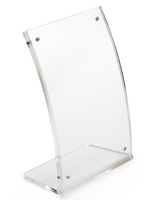 For more information regarding any of the acrylic menu displays offered here, please read the product details, or contact a member of our staff. 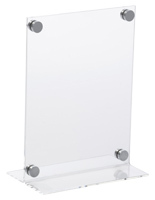 Given the current state of the economy, companies are having to come up with creative ideas to increase their sales on a tight budget. 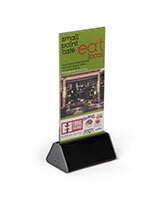 For example; instead of just laying take-out menus on the counter, (where most of them will end up on the floor), display them in an inexpensive acrylic display, thereby keeping them organized, vertical, and more attractive. 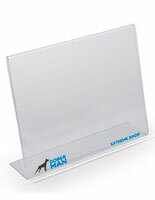 Tradeshows are also becoming more important for businesses to get their name out there and noticed. 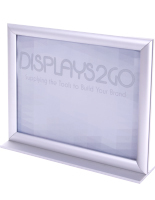 Displays2go has everything companies need to construct an inviting and successful booth on a budget. 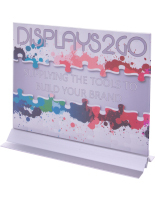 These trade show supplies include everything from, pop-up graphics, magazine racks, slatwall displays, even portable flooring. 8am - 8pm Eastern Time US. 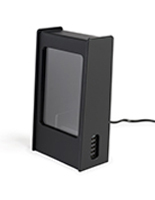 All of these agents can answer product inquiries, check previous order status, or simply help shoppers find the right fixture for the need at hand. 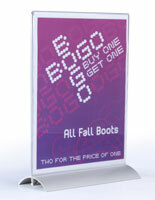 Another great benefit to shopping here at Displays2go is the standard shipping policy. 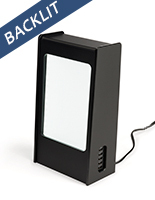 In stock orders placed prior to 3PM ship the same day. 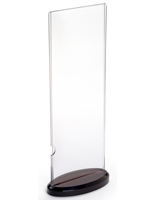 All other requests ship the next business day. 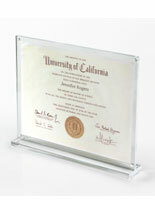 We stand behind everything we offer and strive to provide the best online shopping experience. 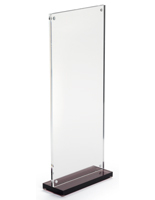 We're committed to offering an unparalleled selection, agents with thorough product knowledge, and excellent customer service.